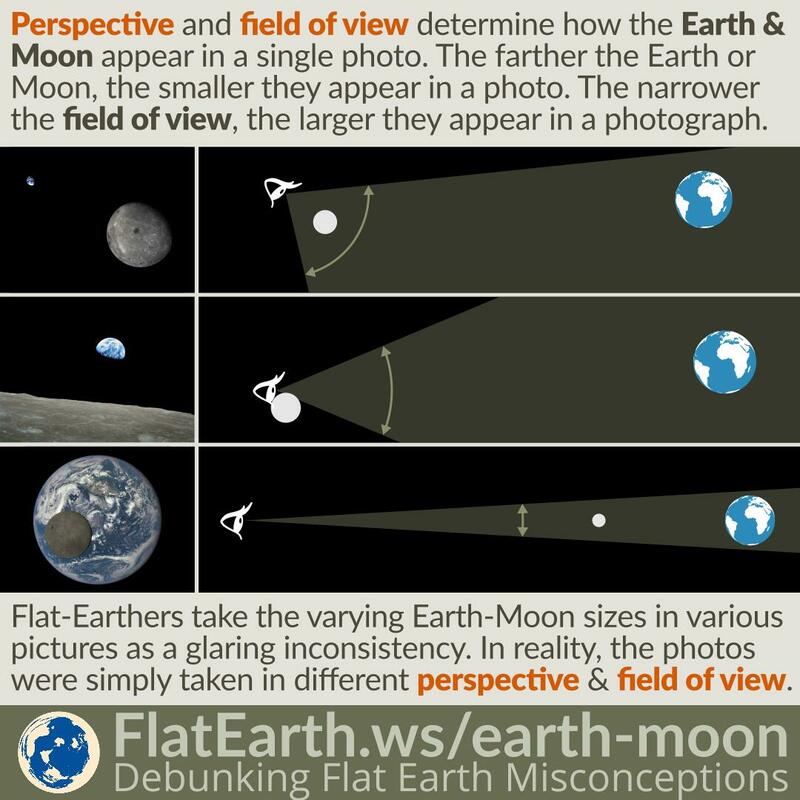 It can be surprising that many people believe that the lunar phase is caused by the Earth casting its shadow on the surface of the Moon. Flat-Earthers are no exception. 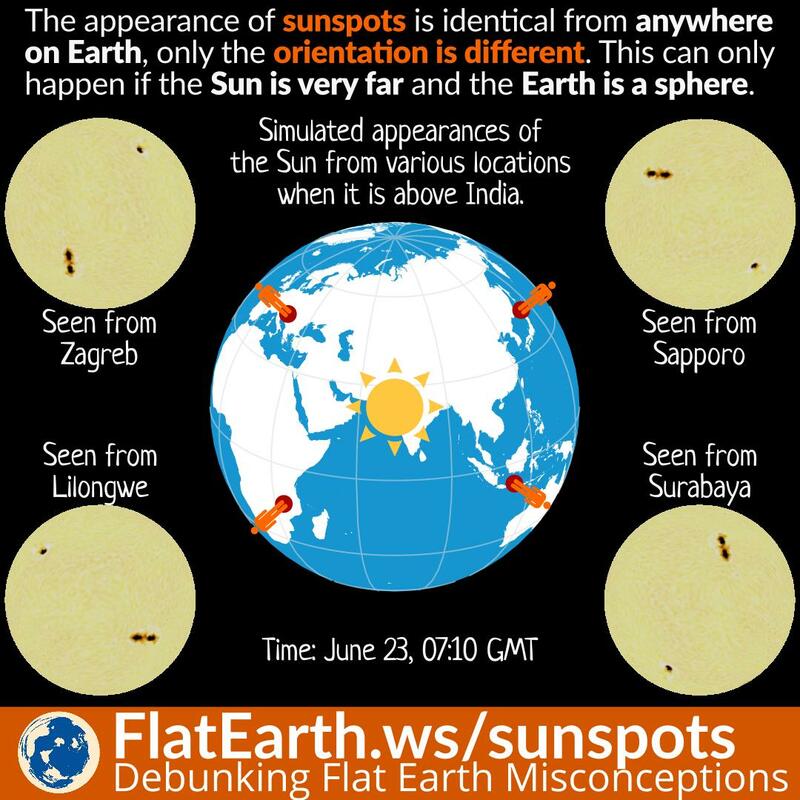 But they take it one step further and use the misconception do “disprove” the fact that Earth is a sphere. They are wrong. 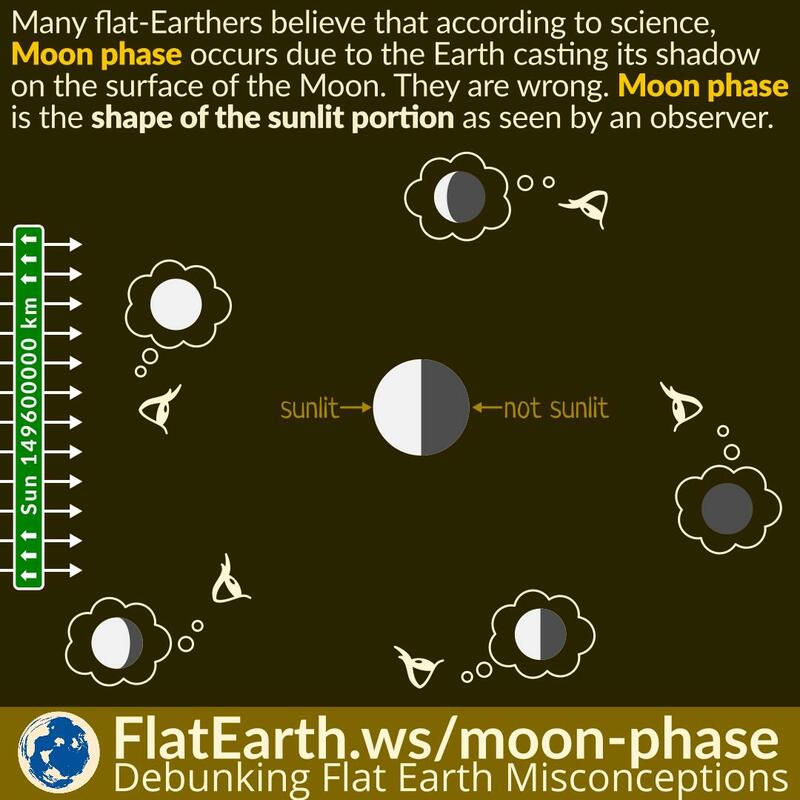 The lunar phase is the shape of the sunlit part of the Moon seen from the observer. On the other hand, the phenomenon where the Earth casting its shadow on the surface of the Moon is called the lunar eclipse. Moon phase occurs all the time and undergoes a monthly cycle, while a lunar eclipse happens only a couple times in a year. 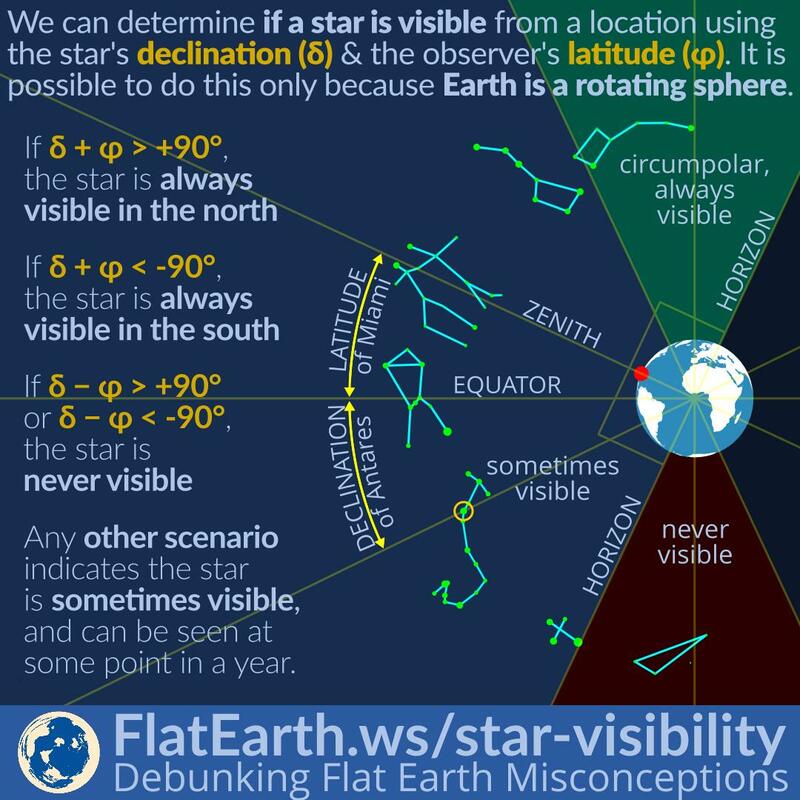 We can determine if a star is visible from a specific location using the declination of the star and the latitude of the observer, subject to other conditions like observer’s topology, the magnitude of the star, weather conditions, etc. It is possible to do this because Earth is a rotating sphere. If the Earth is flat, every star would have been visible all night from every location. 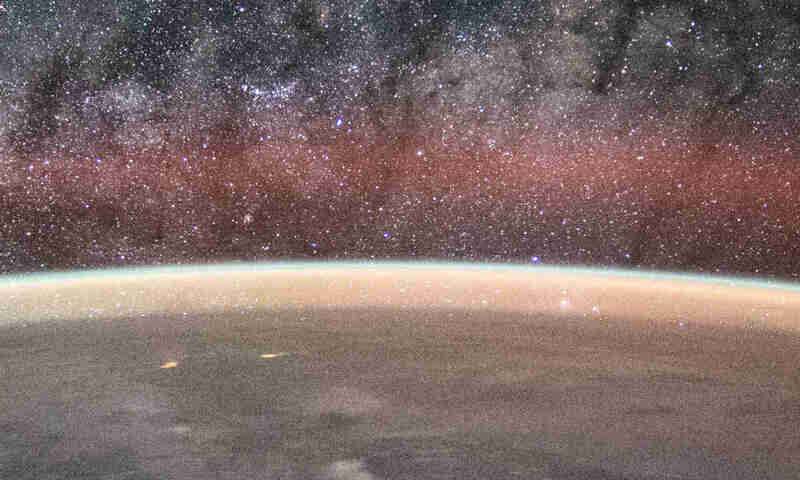 We don’t see the same stars every night because some of them are below the horizon and obscured by the Earth.